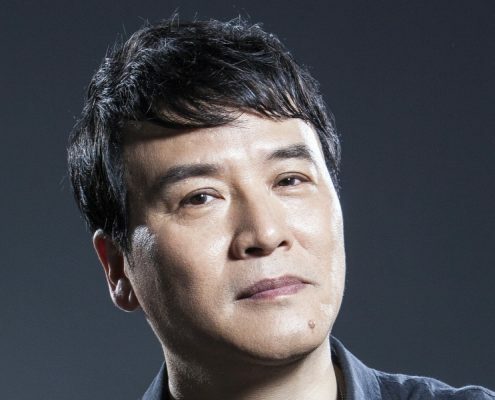 The Royal Scottish National Orchestra (RSNO) presents two concerts celebrating the works of arguably China's greatest living composer in the Western classical tradition this month, when it performs the music of Xiaogang Ye to audiences in Edinburgh and Glasgow. Heralded by the New York Times as, "One of China's leading contemporary composers..." 61 year-old Xiaogang Ye, who is also Artistic Director of the Beijing Modern Music Festival and Vice President of China's Central Conservatory of Music, is perhaps most famously known for composing the music to accompany the 2008 Olympic Games Opening Ceremony, Starry Sky, performed by Chinese concert pianist Lang Lang. Xiaogang Ye's music has been described as colourful, melodious and deeply emotional. The titles of the works featured in China Story evoke the countryside and the poetic heritage of the country; Mount Emei, Scent of Green Mango, and The Song of Sorrow and Gratification. In the spirit of partnership and connection with nature the programme also includes a work from one of the UK's greatest composers, Britten's Four Sea Interludes from Peter Grimes. The Orchestra will be led by frequent RSNO collaborator, Hungarian conductor Gilbert Varga, and will be joined by multiple prize-winning pianist Wan Jieni; Lu Wei, Concertmaster of Deutsches Symphony Orchester Berlin; 2007 BBC Cardiff Singer of the World winner Shenyang; and acclaimed percussionist Hu Shengnan. Xiaogang Ye, composer said "My story is part of the Chinese story and now I will bring this story to Scotland. I hope that through music, a universal language, I can show the world the fascinating culture of modern China." While taking the root form of Western symphonic music, Ye's compositions also contain many typically Chinese influences, such as the use of Zheng, a traditional string instrument. The RSNO has developed a significant connection with China. In addition to inviting many of its top soloists to perform in Scotland, including Lang Lang, the Orchestra made its first visit to China in 2012/13, has recorded two albums of the works of celebrated composer Ge Gan-Ru, and has also made two recordings with pianist Xiayin Wang. In addition, the RSNO has been invited to make a return visit to China in 2018/19. The RSNO performs China Story to audiences at the Usher Hall, Edinburgh on Friday 29 September and at the Glasgow Royal Concert Hall on Saturday 30 September. Both performances start at 7.30pm.